Today there are 100 nuclear plants operating in the United States, providing roughly 17% of our electricity. They do so with water technology developed in the 1960’s and 1970’s and many of these plants are extending their licenses from 40 to 60 years after careful regulatory review. Even new design nuclear plants such as Westinghouse’s AP-1000 and General Electric’s ESBWR are fundamentally the same technology, which are described as evolutionary. Yet today there are many new innovative designs and technologies that are being developed that are not water based. These innovators face enormous challenges in coming up with new designs utilizing coolants such as helium, molten salts, liquid metals and heat pipes. They’re also dealing with a regulator, the Nuclear Regulatory Commission (NRC), which has great expertise in dealing with water cooled reactors but limited, if any, knowledge of other reactors using different coolants and designs. To make matters worse, NRC regulations are totally water based, making it even harder to comply with regulations that are not applicable to more advanced and arguably safer designs. • Realistic risk informed design criteria that would give credit for fundamental safety features in the designs. We need to move to the next generation of nuclear technology but we cannot do it with a regulatory process that is inflexible and outdated. How should regulators approach new nuclear technologies? How could we improve the licensing process for advanced reactors? These are timely and on-target observations by Kadak. Innovation in nuclear energy is moving ahead in other countries while it is being retarded in the US. The NRC, as Kadak notes, is a significant barrier to innovation. The Fukushima disaster stirred up public anxiety about nuclear power. But Molten Salt Reactors, the thorium fuel cycle, and other forms of nuclear technology are significantly different — cleaner, safer, potentially less expensive — than the traditional light-water reactor design promulgated by the Atoms for Peace program in the 1950s. Breaking the innovation logjam and nurturing public confidence in “new” nuclear power options is not just a job for regulators. It requires leadership from the White House and Congress. While partisan sniping has stymied action in Washington on many fronts, promoting innovation in nuclear technology is a subject on which bipartisan cooperation seems at least possible. Another fundamental problem with nuclear is that the public has an irrational fear of nuclear power. I believe a nuclear plant is 1000 times safer than a coal plant using just about any criteria (deaths per kWh, probability of getting sick if you live nearby, etc.) but that does matter. Not only does nuclear need new, inherently safe technologies, it also needs a complete rebranding. My hope is that commenters may suggest additional changes in the licensing process for example, instead of having adjudicatory hearings that drag on forever, why not adopt the administrative process of the Environmental Protection Agency in which legislative type hearing are held. This process would not change the reviews by the Atomic Safety and Licensing Boards or the Advisory Committee on Reactor Safeguards but make the process less of a legal battle and more of a process of addressing concerns. Another thought might be to set timetables for reviews and risk significance of issues in contention. Any Thoughts on these topics? Does anyone have a comment on using administrative versus adjudicatory hearings in the licensing process for nuclear plants like EPA does for other environmental issues? I believe the best way to proceed on evaluating whether to proceed with new nuclear power plants in the United States is to establish a major pilot project with standardized new technology that is fully assessed by a panel of objective, trusted experts. Otherwise nuclear industry proponents and public policymakers will continue to argue back and forth about the issues without making any progress, and the general public will continue to be mistrusting and fearful of new nuclear plants being built. The pilot project could be a replacement of an existing very old/obsolete nuclear power plant so that there would be little objection from the public about the concept of examining the new potentially better nuclear technology in this trial. The costs and issues associated with dismantling the existing plant should be assessed. The nuclear industry should decide on the best reactor technology it proposes to standardize in the United States and test in the pilot project. Too many technology proposals will only confuse the issues for policymakers and the public. On OurEnergyPolicy.org, there has been discussion of Integral Fast Reactors that run on nuclear waste from older reactors, and Dr. Kadak discusses designs that use coolants other than water. If the nuclear industry wants to proceed effectively, it needs to standardize a best proposed design that can be evaluated in a pilot project and cost-effectively be replicated on a large scale commercially. The pilot project should run for 5 – 10 years. It should carefully assess the capital costs of building the nuclear power plant, the operating costs of the plant, the total cost to consumers per kWh of electricity delivered, the greenhouse gas emissions associated with the life cycle of the plant, the nuclear waste storage requirements, and the general safety of the plant. The results and comparison to alternative sources of electric power should be clearly communicated to policymakers and the general public. 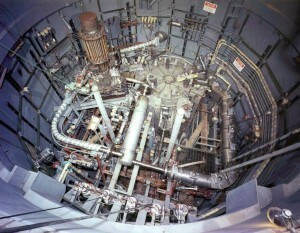 If the pilot nuclear power project successfully demonstrates that it generates cost-effective, clean, safe electric power, that would be the best way to convince the government to streamline the licensing process for similar nuclear power plants to be built on a commercial basis either as replacements for existing nuclear plants or possibly as greenfield facilities. You make some very good points which are consistent with the remarks I made to the DOE’s Nuclear Energy Advisory Committee looking at future directions for their program. Get smart – pick a sustainable technology for the long term that meets the needs of the nation -then support it with adequate funding to make it happen with R&D and first deployments. This is now a strategic national question. If you want to see where China is going – check out the HTR-PM project. They are building the first plant that meets the Generation IV criteria. It is under construction with an operating date sometime in 2017. That is in two years! They are also going to be exporting their modified designs of the AP-1000 and their versions of the French designed 900 Mwe electric reactors. Advances in nuclear technologies means that the regulatory regimes need to be changed to become more realistic in regards to safety, lower O&M, significantly less water, and much more transparent oversight. The last 75 nuclear plants had cost overruns from 100% to 281%. Many of the more recent failures were actual surprises to facility staff and NRC staff. Diagnostic technologies need to be employed to allow nuclear plant performance can be viewed directly federal and state regulators and homeland security officials. Federal regulators also need to insure that plants can no longer rely on water cooling, because increases in global temperatures are forcing plants to invest in new cooling towers which are hugely expensive. generation plant sizing are less agile to address changes and flattening electric demand that is plaguing electric utilities. State regulators need to stop allowing ratepayers to stop subsidizing nuclear plants with construction work in progress (CWIP) where ratepayers pay hundreds of millions of dollars for years without receiving any power. If nuclear power is economical, it’s construction should not be fronted by ratepayers, huge overages of construction costs should not be tolerated, and then newer technologies could be adopted without the pain of the past. While this comment is not focused on the question posed, it raises some issues which continue to misunderstood. The writer is correct about cost overruns and schedule extensions but that does not address the point that despite these shortcomings, nuclear continues to provide huge amounts of reliable base load generation cleanly at a price that is competitive. The recent market distortion of natural gas prices has made the competitive nature of some nuclear plants questionable but if properly priced, namely providing ecomomic value of clean energy which is given to renewables and value of having capacity when needed (when the sun doen’t shine or the wind does not blow), nuclear would be much more competitive. Sadly new plants are very expensive, beyond the reach of most utilities if they took on the entire burden of the plants themselves which is why partial ownership is the only real option in the US. As to allowing for construction work in progress, while it is true that consumers are paying for a plant that is not yet operational, when it becomes operational, the cost will be significantly less due to the lower financing costs. In essence, instead of paying the money lenders (banks), the savings are passed to consumers when the plants are operational. At $ 10 billion a plant, the borrowing costs are very high as are the savings if less money needs to be borrowed. One could call this a subsidy but it makes economic sense. Thanks to a number of factors – natural disasters, the steady flow of increasingly clear and detailed data, and significant new political accords such as the US-China climate consensus from October 2014 – climate change is now very squarely in the public and political debate (The White House, 2014). Many of us, of course, have been arguing that this should have been the case long ago. In my case I am very pleased to have contributed as a contributing and then a lead author to the Intergovernmental Panel on Climate Change since the late 1990s’ (IPCC, 2000). With the scientific consensus now clear that globally emissions must be dramatically reduced, by eighty percent or more by 2050, attention is turning to two themes: 1) What is the permissible budget of fossil fuel use; and 2) What are our viable scientific, technological, economic, and political options to power the economy cleanly before mid-century. On the first question a series of increasingly clear assessments have appeared that document the oversupply we have of carbon-based fuels. In the latest, high-profile paper, researchers Christophe McGlade and Paul Ekins (2015) make clear that ‘Huberts’ Peak’ – the rise and then decline in a non-renewable resource such as coal, oil or gas – is largely irrelevant to addressing climate issue. Fossil fuel scarcity will not initiate the needed transition. The environmental bottom line is that to meet our climate targets cumulative carbon dioxide emissions must be less than 870 to 1,240 gigatonnes (109 tons) between 2011 and 2050 if we are limit global warming to 2 °C above the average global temperature of pre-industrial times. In contrast to that, however, the carbon contained in global resources of fossil fuels is estimated to be equivalent to about 11,000 Gt of CO2, which means that the implementation of ambitious climate policies would lead to large proportions of reserves remaining unexploited. There have been several recent calls from people and organizations concerned about global warming to use nuclear electricity generation as part of the solution. This includes The New York Times, the Center for Climate and Energy Solutions (formerly the Pew Center on Global Climate Change), and a number of leading scientists, engineers, and politicians. These calls speak to the potential of nuclear energy technologies to deliver large amounts of low-cost energy. New advanced reactors, small-modular reactors, and fusion are all candidates to provide this energy, and there are knowledgeable and ardent supporters of each of these technologies and pathways. At the same time, there are very serious concerns with both the nuclear power industry as it has existed to this point, and to how it might evolve in the future. Alan Robock of Rutgers University summarizes these concerns in an exceptionally clear editorial piece (Robock, 2014) where he questions the ability of the nuclear power industry to meet needed standards of: 1) proliferation resistance; 2) the potential for catastrophic accidents; 3) vulnerability to terrorist attacks; 4) unsafe operations; 5) economic viability; 6) waste disposal; 7) impacts of uranium mining; 8) life-cycle greenhouse impacts relative to ‘renewables’. Battles back and forth between proponents and detractors are sure to continue, but simply looking at #5 on this list alone – the cost and opportunity cost of investments in nuclear power as it exists today demonstrate the scale of the challenge. To address, this, consider that of the 437 nuclear plants in operation worldwide today, most will need to replaced in the coming three decades for nuclear power to even retain its current generation capacity, let alone to grow as a major technology path to address climate change. To examine this future, my students Gang He and Anne-Perrine Arvin (2015) and I have built a model of the entire Chinese energy economy, where nuclear power is expected to play a major role. Today China’s power sector accounts for 50% of the country’s total greenhouse gas emissions and 12.5 % of total global emissions. The transition from the current fossil-fuel dominated electricity supply and delivery system to a sustainable, resource-wise system will shape how the country, and to a large extent, the world, addresses local pollution and global climate change. While coal is the dominant energy source today, ongoing rapid technological change coupled with strategic national investments in transmission capacity and new nuclear, solar and wind generation demonstrate that China has the capacity to completely alter the trajectory. The transition to a low-carbon, or ‘circular’ economy is, in fact, the official goal of the Chinese government. In the U.S.-China Joint Announcement on Climate Change, China is determined to peak its carbon emission by 2030 and have 20% of its primary energy from non-fossil sources by the same year. The challenge is making good on these objectives. Installed wind capacity has sustained a remarkable 80% annual growth rate since 2005, putting China far in the lead globally with over 91 gigawatts (91 GW; and 4% of national electricity capacity) of installed capacity in 2013 compared to the to the next two largest deployments, namely 61 GW in the United States (5% of total electricity), and 34 GW in Germany (15% of total capacity). Central to this discussion is the role of nuclear power, because half of all the new nuclear power plants planned by 2030 worldwide are forecast to be built in China (roughly 30 of 60 total nuclear plants anticipated to be constructed over the next 15 years. The questions remain, will this large-scale build out of nuclear power happen, a) in China; and b) as a large component of the energy mix in other nations, both ‘industrialized’ and ‘indistrializing’? In the modeling work on both the Chinese energy system we are doing, and in our ongoing work on the energy economies of the U. S. (see the program website: http://rael.berkeley.edu/switch) we find that there are diverse range of pathways that can achieve the needed 80% emission reduction by mid-century. Some are more solar dominated (Mileva, et al., 2013), some more wind-driven, some heavily reliant on biological carbon capture (Sanchez, et al., 2015) and so forth. A carbon price of $30 – 40 per ton of carbon dioxide is critical to drive each of these cases, and nuclear is no exception. Returning to the list of challenges Alan Robock poses, however, the path to major role for nuclear fission in this future is going to be a challenge. This path is contingent on solving a very long and a very serious list issues that most energy planners would conclude that at least so far, nuclear power, has not been able to successfully address. Intergovernmental Panel on Climate Change Working Groups II and III (2000) Methodological and Technological Issues in Technology Transfer (Cambridge University Press: New York, Cambridge UK and New York, NY). Coordinating Lead Author. ISBN 0-521-80494-9. He, G., Avrin, A.-P., and Kammen (2015) “Peaking Carbon in 2030? A Systems Approach to the Transition to a Sustainable Power System in China”, in press. McGlade C. and Ekins, P.(2015) “The geographical distribution of fossil fuels unused when limiting global warming to 2°C”, Nature, 517, 187 – 191. Mileva, A., Nelson, J. H., Johnston, J., and Kammen, D. M. (2013) “SunShot Solar Power Reduces Costs and Uncertainty in Future Low-Carbon Electricity Systems,” Environmental Science & Technology, 47 (16), 9053 – 9060. The White House (2014), U.S.-China Joint Announcement on Climate Change (2014), (available at http://www.whitehouse.gov/the-press-office/2014/11/11/us-china-joint-announcement-climate-change). Before discussing strategies for energy innovation, it is important to get the context correct. Daniel, your assertions about a growing climate change consensus above are incorrect. What is growing about climate change is the debate, not the consensus. The IPCC 2013 AR5 admitted the unexplained 15-year warming hiatus since 1998, admitted all the models had failed by dramatically overestimating warming, and revised downward its estimates of both equilibrium climate sensitivity and transient climate response to CO2. When you cite “natural disasters” as evidence of climate change in your first sentence above, to what are you referring? As a contributor to the IPCC, you must know that the AR5 scientific report recanted on claims from previous reports that there is any increase in global droughts, flooding, cyclonic storms or severe weather since the onset of the industrial age. It also found that green plant coverage is growing, crop yields are increasing, and human disease is decreasing — with all these trends forecast to continue. Meanwhile, scientific criticism of the validity of the highly-doctored surface temperature records of the USHCN has been also increasing, particularly in light of contradictory data from satellite measurements and the new CRN temperature measuring network. A growing number of climate scientists are coming to the conclusion that negative feedbacks rather than positive feedbacks dominate the climate and that CO2 is not the singular demon it has been hyped to be. The recent verbal agreement with China on greenhouse gas reduction that the Obama administration has hailed as “landmark” in the just-released National Security Strategy is both laughable and falsifiable. When dealing with China (and Russia and Iran, etc. ), it is essential to weigh deeds not words. The current proportions and trend lines on Chinese coal and other fossil fuel consumption continue to dwarf renewables, particularly non-hydro RE. The new normal for the price of oil and gas is only going to accelerate adoption of these energy choices throughout the developing economies of Asia and Africa. The 2015 paper you cite actually provides a potent argument for the futility of strategies that try to limit fossil fuel consumption. There is no realistic method or expectation to limit the world’s nations from consuming 2/3 of currently available resources in order to prevent CO2 from climbing past an arbitrary threshold. Just a response to the traditional and some would say “tired” litany of complaints about nuclear energy cited by Robock. The facts are fairly clear. The US nuclear power plants have and are performing exceedingly well and safely. The evidence is apparent and transparent. One can simply go the Nuclear Regulatory Commission website (nrc.gov) to find out the daily status of operating reactorsand their safety performance as inspected by on-site NRC regulators. As to the only “unsolved” problem of high level nuclear waste, one can not blame the industry or the Department of Energy and their national labs. They submitted a license application to the NRC for a construction permit to build the nation”s first repository at Yucca Mountain, Nevada. Sadly, the politics of Senator Harry Reid (NV) and President Obama intervened and the President ordered the Secretary of Energy to cancel the project while the NRC review was on-going. Luckily we have a judicial system that still has some power, and it ordered the NRC to complete the review as mandated by the Nuclear Waste Policy Act. The results of NRC’s recently completed review were positive showing that Yucca Mountain repository could meet the requirements for long term safety. What the next step will be is uncertain. Congress must make a decision to restart the program by providing funds or find another place to start over. Bottom line – its not the technology – its the politics. A final point, it China builds out all of its planned nuclear plants (60 or so), the percentage of electricity produced in China from nuclear will be about 4 to 5 %. If climate change is your worry – keep worrying. I would offer only a couple of reactions to some of the comments already made. First, with regard to Professor Kammen’s discussion that Peak [insert favorite fossil here] is largely irrelevant to the climate issue, I would add that it is irrelevant to virtually any discussion. We’ve been supposedly reaching peak whatever for years but that approach discounts both technology and economics which both change the definition of the resource in question. As to Mr. Sklar’s criticism of CWIP, that is absolutely right on. Unfortunately CWIP has become de rigeur for virtually any utility build, not just nuclear. Perhaps a greater focus on distributed generation will help solve that problem but that is part of a larger battle being waged across the country at the present time. It seems to me that the best hope for salvaging nuclear is to focus on the SMR approach which — while the unit cost may not decrease much — at least limits the total investment required and therefore the overall risk. For a long term future, we must concentrate on reprocessing and on technologies that can make use of reprocessed fuel. If we accept that nuclear of whatever type you want to discuss must be part of the discussion — and granted that is not universally accepted — then timing becomes a critical issue. We really can’t afford to continue to dither around and hope that Gen IV will miraculously develop from thin air. As the moderator of this discussion, I only offer a couple of additional comments on SMRs. They do offer the potential for a more affordable option for many utilities that can not afford a $ 10 Billion facility. While their power levels are much smaller and the cost of power could be higher than larger plants, they may be the only option for some utilities who need to meet EPA’s new clean power requirements. Ideally, they would replace older and smaller coal fired plants at the same sites which would be permissable due to their improved safety features requiring a much smaller (site only) emergency planning zone. The specific questions posed above by Dr. Kadak are about regulators and licensing. What I believe is coming is a new proliferation of nuclear chemistries and fuel cycles that will find themselves well outside the current regulation regime, much as designer drugs and genetic biotechnology continue to outpace legal regimes. Trying to proactively regulate them will be like trying to construct the FAA in anticipation of the Wright brothers’ first public flight. Current regulation focuses on uranium and plutonium isotopes and their associated wastes and doping agents and byproducts. However, isotopes of many other elements have been demonstrated or theorized to produce net energy via manageable fission and fusion. These include hydrogen and heavy water, 3He, Lithium, Hafnium, Thorium, Polonium, Americium, and other transuranic and minor actinide elements. In addition to classic fission and fusion theory, there is a growing exploration of low-energy nuclear reactions (LENR) that are theorized to occur to explain observed production of anomalous heat and transmuted elements in experiments dating back to the early 1900s. These reactions appear to be the emergent and divergent behavior of elements when structured in large condensed-matter collections such as lattices or “super-atoms” and subjected to intense electromagnetic fields. The once mythical practice of alchemy is also becoming an ever more accessible reality using lasers that now allow manipulation of individual atoms, and can even be used to directly stimulate fission at atomic scale (http://www.technologyreview.com/view/423107/how-to-transmute-elements-with-laser-light/). It is conceivable that, in the very near future, we will be able to surgically add neutrons and protons to existing atoms and transform common and stable elements into useful radioactive ones, and conversely, to transform dangerously radioactive wastes into benign elements. This technology would allow one to take any common, cheap, stable element on the periodic table and step it rightward and downward to become a fissionable or fertile nuclear fuel component. Just a few of many possible examples include Molybdenum to Technetium, Tin to Tellurium, Lead to Polonium. There are so many possibilities for metallic fuels for such a cycle, and each has so many other legitimate uses, that regulation of designer nuclear cycles is going to be virtually impossible. Even existing hydrocarbon fuels could become nuclear fuel for such reactions, with the hydrogen and carbon participating in nuclear reactions that generate a million times more energy per atom than chemical combustion. Mitsubishi and Toyota are two large industrial firms that are currently trying to characterize and commercialize LENR. In the above context of imminent fuel cycle proliferation, it is rather quaint to be debating changes to existing regulations for 1960’s uranium and plutonium technology. I believe my generation will see changes in the nuclear energy arena analogous to those that rocked the telecommunications world following the break-up of the Ma Bell monopoly in the 1980s and the auction of cell-phone licenses in the 1990s. In coming decades we will see nuclear power plants the size of 3-D printers operating on some of the same principles, producing their own fuel in real-time from a variety of cheap metals. These transmuted fuels will immediately decay, releasing all their thermal and electrical energy and dangerous radiation in the reactor. These power plants will only produce significant radiation when they are running, as neither their raw fuel nor their waste will be exotic, and both will either have ultra-short or ultra-long half-lives that render them benign. Of course, this technology will be a Pandora’s box that also has as much potential for evil as for good. Some futuristic conclusions based on the discussions posted above; and on the present energy environment. There cannot be a water reactor nuclear plant build out in the USA that is necessary to replace and supplement the current generation of commercial nuclear plants. We do not have the financial or human resources…..or the political will. Unfortunate but true. It is time to be realistic. The resulting energy deficit is already being filled by natural gas fuelled combined cycle generation plants. That trend will continue because they are already more economic in every respect than nuclear or coal. In fact many coal and nuclear units are scheduled for early retirement because they cannot compete. Renewables may become a significant contributor, but only if we have reasonably economic and reliable energy storage. Ike Kiefer introduces some very interesting possibilities that may attract the resources necessary for development. Much will depend on the future political / economic environment. and on our ability to formulate an altruistic energy policy. The Chinese and others have already surpassed our capacity to manage a future water reactor based nuclear program. They will lead; that die is already cast. As for global carbon emissions, our future contribution will not be reduced in any meaningful way, because we cannot afford to curtail the use of electricity (and agriculture). Neither can the Chinese or the rest of the world. Future coal and natural gas supplies are sustainable. Natural gas is sufficiently abundant to carry base load power requirements. We only need a few more pipelines. And then there is oil, currently a glut on the market!